A Mandragora tree with fully blossoming flowers from another land. The sight of these flower petals gently falling is simply an exotic and delightful atmosphere. 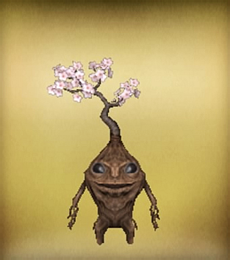 Some Mandragora enthusiasts are highly supportive of making the flowers fully bloom at the same time. They are only available for viewing for a short period, hence making them highly prized.